Fifteen years of working in television and film brought Goddard to this point. He has steadily honed his craft, writing on series like Buffy the Vampire Slayer and Lost. He scripted Cloverfield, The Martian, and The Cabin in the Woods, which he also directed. 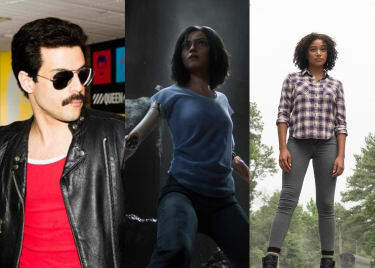 Here’s how Drew Goddard got to the top of the genre mountain, as a master of storytelling that spans horror, sci-fi, and thrillers. The right place at the right time for Goddard was being a production assistant in Los Angeles after college. He wrote a spec script for the HBO series Six Feet Under. While the script was never picked up for that show, it got the attention of the Buffy the Vampire Slayer team. Goddard was hired to write on that show’s final season, and if you think coming in at the end of Buffy is not such a great deal, think again. Goddard went from writing scripts on Buffy to writing for the spin-off series Angel, where he became the show’s executive story editor for season five. A bounce over to the relatively new Bad Robot productions was next. He wrote for the fourth and fifth seasons of Alias, then worked on Lost right from the beginning. By Lost’s third season, Goddard was a co-executive producer. That’s more than a list of great credits. It represents experience in the pressure-cooker environment of making popular television. It shows that Goddard was adept at working with a variety of characters and stories – and injecting relatable ideas into genre scripts. Above all else, it demonstrates that he worked well with different teams, which is essential to succeeding in film and TV. Goddard told the WGA about his luck in ending up in the crew of Joss Whedon and J.J. Abrams. I really got lucky with those guys, in that I sort of showed up around the time when they all had a foot in the door. They were all still coming up in the industry, but they had something going on – which I didn’t! It was a fun time. When J.J. and Matt and I talked about doing Cloverfield, we had this one really predominant feeling about making that movie: it never felt like we were making a movie. It felt like we were in the garage, just making entertainment with our friends, having fun. Those experiences put the writer in a position to craft his first films. He created Cloverfield with Abrams and director Matt Reeves. The secret Bad Robot production turned into a surprise hit. The film used a found-footage approach to follow a group of friends trying to survive a monster’s rampage through Manhattan. It elevated Goddard’s name to the ranks of promising new filmmakers. Then he wrote the smart, hilarious, and gory The Cabin in the Woods with Joss Whedon, and directed the film as his feature debut. That movie established Goddard’s relationship with Chris Hemsworth. (It was shot before Hemsworth starred in Thor.) The two-year delay in getting Cabin into theaters was also instructive in the more frustrating aspects of the movie business. Both films showed Goddard’s growth as a writer. They feature instantly memorable sci-fi and horror concepts that are all the more effective because both films prioritize characters over concepts. At that point, Abrams and Whedon had already spent years writing films and TV, and working closely with them on the two features would be like doing two doctorate-level studies in filmmaking back to back – and acing them. At the same time, he was hired to run Daredevil for Marvel and Netflix. After setting the show in motion, he moved on to write a Spider-Man spinoff movie, The Sinister Six. That was never made in part due to the Sony email hack. The collision of all those interests also meant Goddard had to walk away from directing The Martian. He did leave the door open for Ridley Scott to step in. That worked out OK, as the film got seven Oscar nominations, including Best Adapted Screenplay, Best Actor, and Best Picture. The script for The Martian shows a mastery of character and genre. 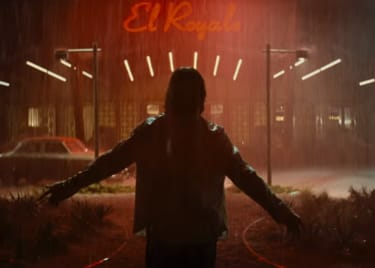 Now we’re excited to see how he’ll weave his understanding of character into a violent mystery, in Bad Times at the El Royale. 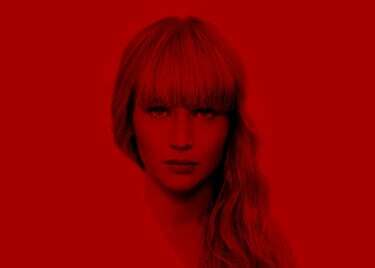 The film throws together seven strangers in a rundown old Lake Tahoe hotel – and the secrets they all carry will likely mean the end of some, if not all. Only one thing seems certain: that Drew Goddard will emerge victoriously. 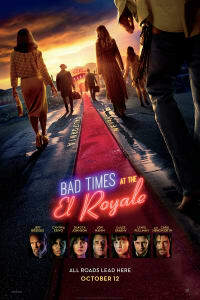 Bad Times at the El Royale opens on October 12.